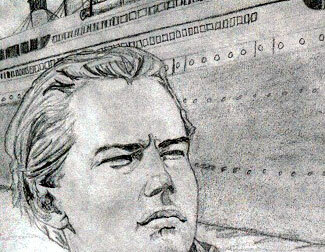 At the time I drew this, Titanic was ubiquitous. 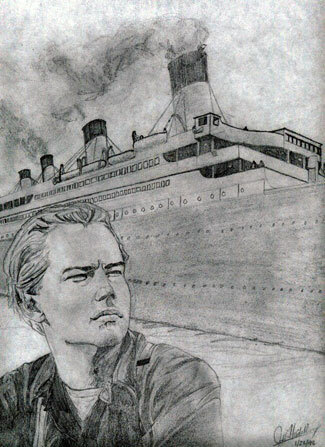 I actually liked the movie and especially the optimism of Leonardo DiCaprio's Jack Dawson. With my novice artistic abilities I attempted to convey that optimism in this drawing. As I was finishing this drawing, my best friend returned from a several month trip to Israel, so seeing this always reminds me how happy I was to see him.